The ‘Immersion’ bathtub, Shanghai-based duo Neri & Hu’s first foray into bathroom furniture, was designed to fit into the small confines of urban living spaces. 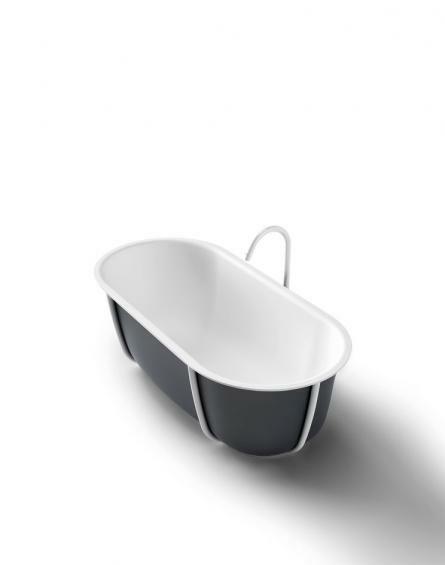 Inspired by traditional Asian timber baths, this sleek model is deeper than a standard tub, but is only 147cm long. And the addition of a wooden seat adds an organic touch that keeps it from being too clinical for our tiny yet tasteful metropolitan apartment. 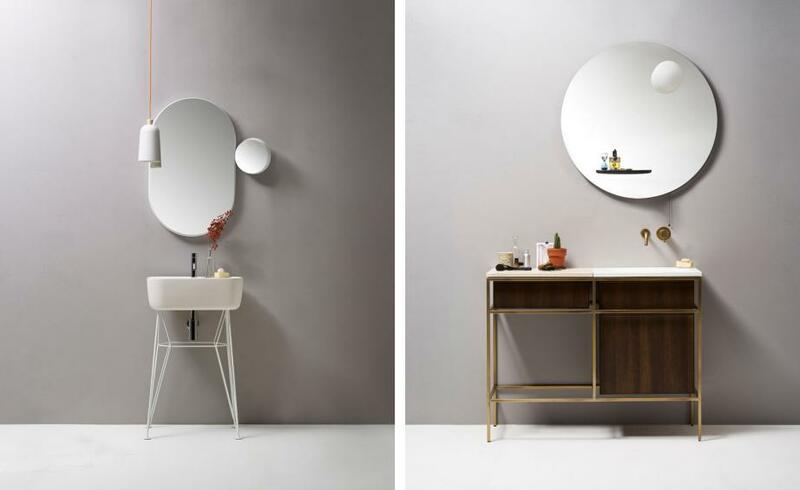 Presented at the Maison et Objet, the ‘Gravity’ (left) and ‘Float’ (right) mirrors are the result of an inaugural collaboration between Tuscan bathroom specialists Ex.t and English designer Samuel Wilkinson. As their names suggest, the mirrors are inspired by movements and forces in space. For ‘Float’, a moon-like opal-glass sphere hovers above a suspended, semi-circular marble shelf. ‘Gravity’, on the other hand, comprises a large, oval mirror playfully appended by a circular magnifying mirror, that can be detached or placed anywhere around the edge as desired. The ’Inox Concrete’ taps are the newest addition to the Diametro35 collection, from Italian factory and bathroom accessories firm Ritmonio, in partnership with its in-house DesignLAB. 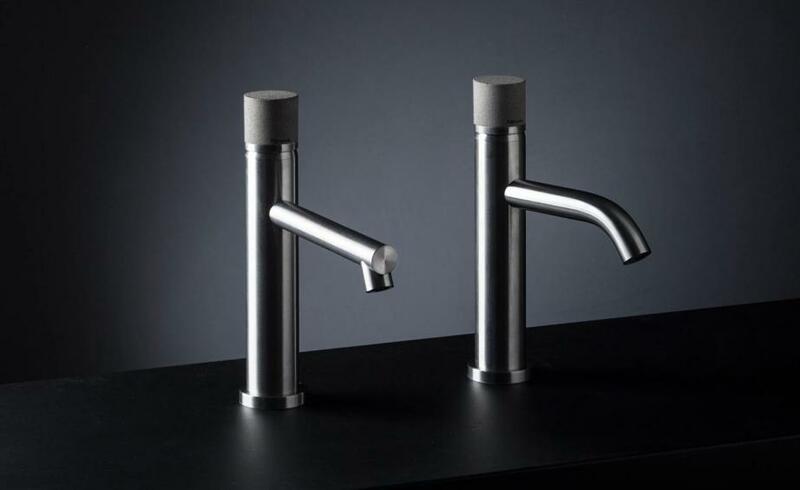 Forerunners of using concrete in sanitary ware, Ritmonio has paired ergonomic concrete handles with slim, stainless steel faucets, creating a refined, yet urban statement. The Danish architecture firm used its minimalist and purist aesthetic in a collection for Spanish bathroom brand Ibani. 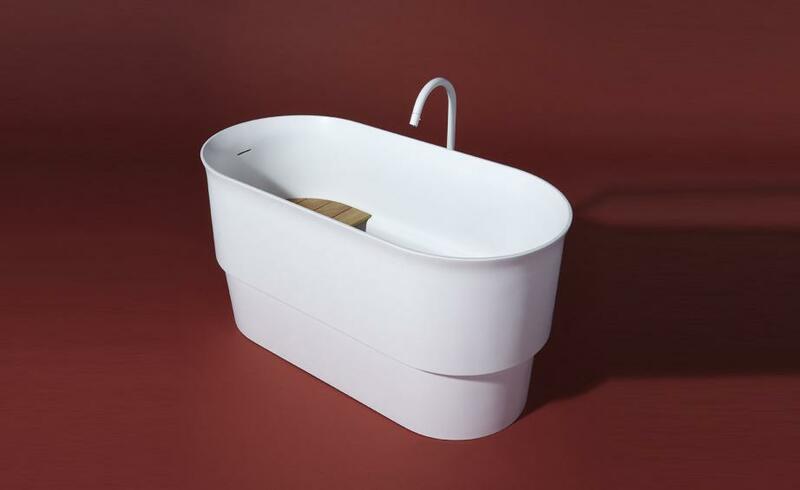 Putting a contemporary spin on antique bathtubs with rolled edges, they create these in fine white ceramic, as opposed to metal as they originally existed. ’Prime’ can add interest to simplistic bathroom set-ups with the pleasing curves making up the silhouettes. 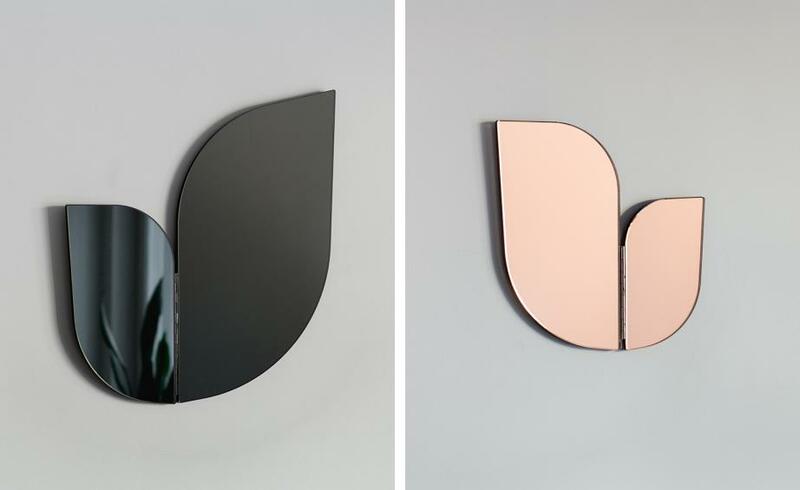 Launched as part of the ’Yhes’ exhibition at Lokal Gallery in Helsinki, these charming mirrors take their cues from the wings of a bird for the slender shapes. Realised by Finnish designer Katriina Nuutinen, the two-part mirror discreetly hinges in the middle, allowing the smaller panel to be readjusted for a more desirable angle. The ’Perho’ mirror comes in two sizes and five different hues for an ornamental yet natural addition to the bathroom. 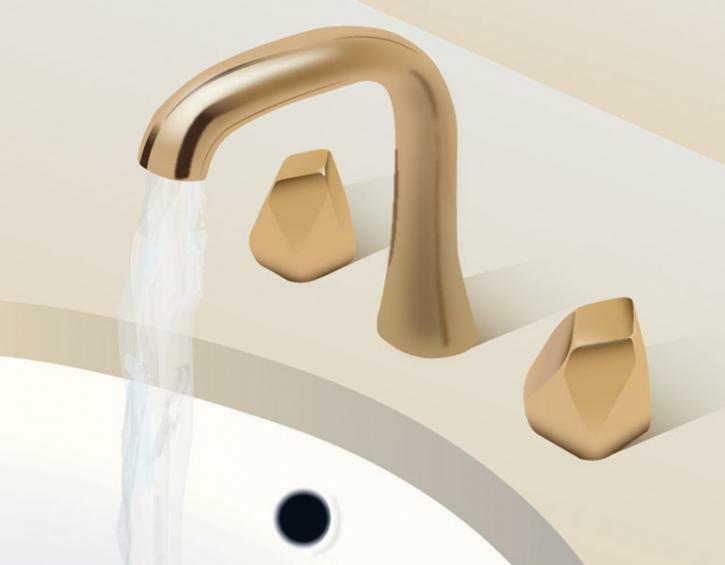 Japanese designer Naoto Fukasawa first realised the ’AF/2’ back in 2010, creating a refined faucet that is uncomplicated and lustrous. 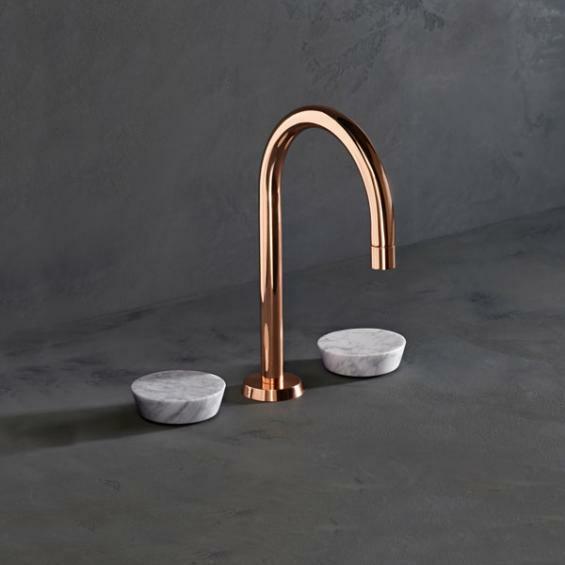 Bathroom manufacturer Fantini have now added another level to the model with different modern finishes; gun metal, brushed copper and ’rosy brown’ to name a few. 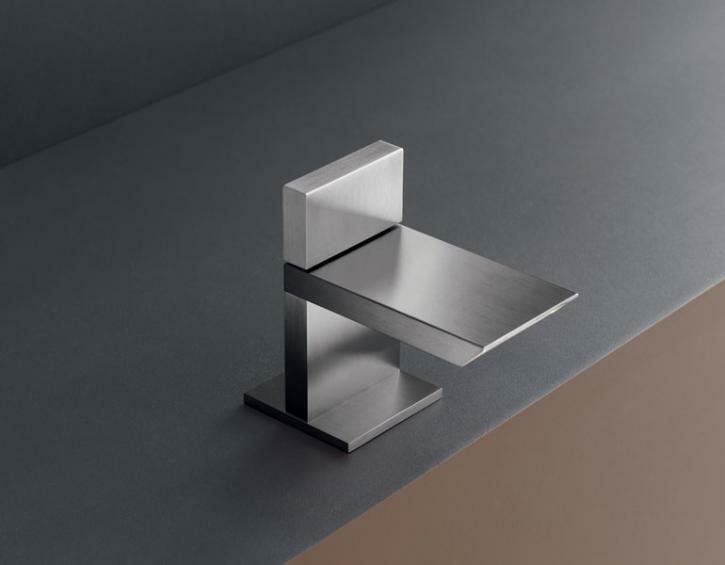 The Italian brand explores PVD (physical vapour deposition) treatment for the brushed and satin finishes for a contemporary addition to a simple sanitary room. 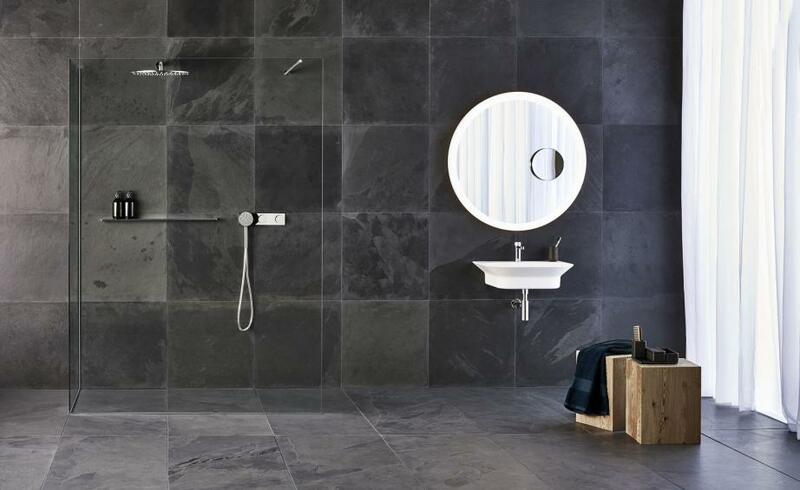 Spanish manufacturer Porcelanosa has teamed up with British architects Foster + Partners for ’Tono’ bathroom collection. 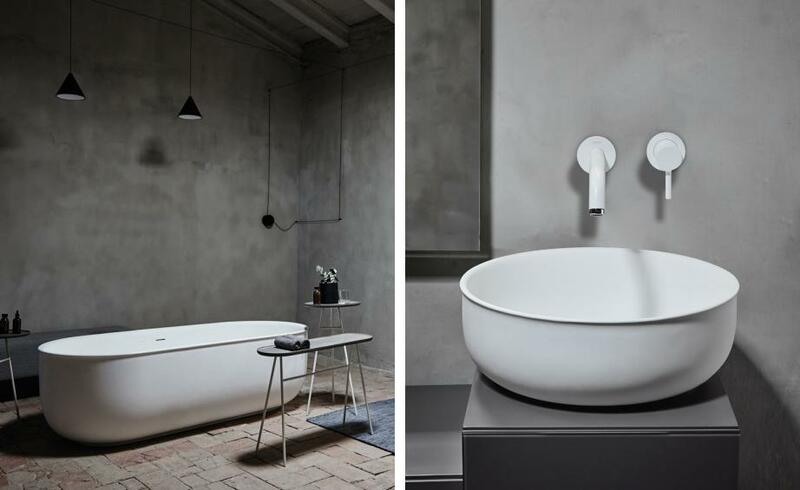 Inspired by the notion of ‘less is more’, the range is a sleek set of sanitary ware – from sinks and bathtubs, to faucets and mirrors. ’Tono’ is available in two contrasting palettes; a lighter clean hued selection of white ceramic paired with titanium, and deeper ’Capaccino Grey’ stone mixed with coppers and golds. While tonally different, both follow the same minimalist silhouettes of smart lines, and simple surfaces. Fusing ancient craftsmanship with a modern aesthetic, Zan Design’s container offers a seamless bridge between classic and contemporary. Crafted from a mixture of decorative, lead-free enamel, also known as ’Jingtai blue’, and grade JIS C1100 copper, the vessel is finished in a high temperature kiln. 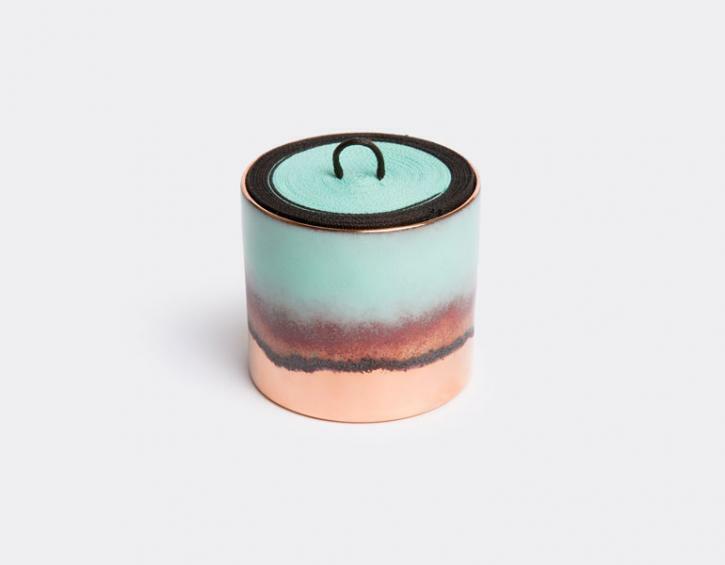 The result is a linear surface design that blends potent hues of azure with a thick copper base, a multiplicity of textures that is further enhanced by the container’s fabric lid. Laura Bilde channels her simple Scandinavian style to master the multifaceted qualities of this mirror. The circular model has a geometric friend with it; a clean painted black metal shelf that can accessorise in the bathroom, or bedroom. 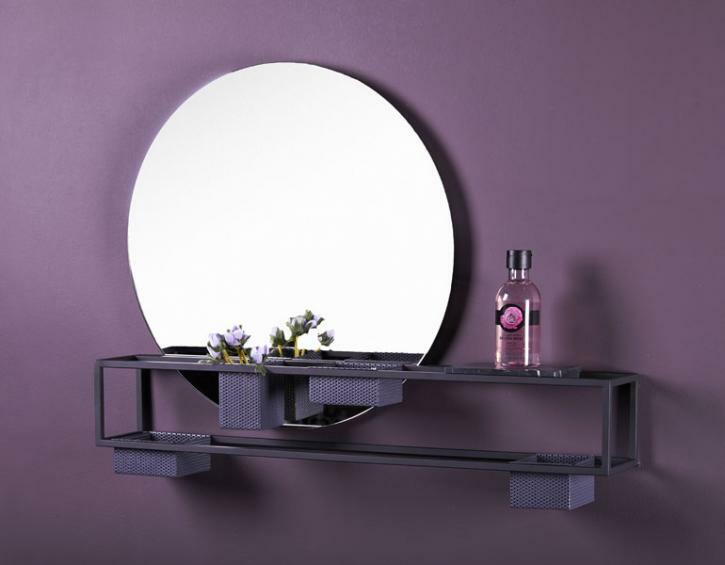 Created for Danish brand Woud, the ’Mirror Box’ plays with a pleasing mix of angles and a stylish dark finish. 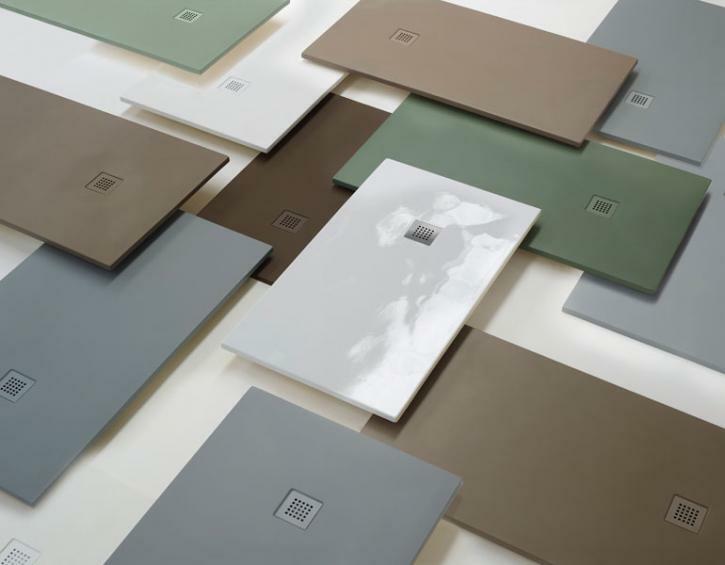 Bringing a slick finish to our bathroom is Italian brand Cielo’s extra slim ceramic shower tray. The super refined piece seemlessly fits into the shower room set with its 3cm thickness and range of 20 hues and alterative textures. From an organic moss green to a creamy sandstone, or even just monochrome black and white, each piece is handmade with finesse. Graff’s refined ’Ametis Ring’ shower head is wall-mounted and finished in powder-coated, high quality steel. 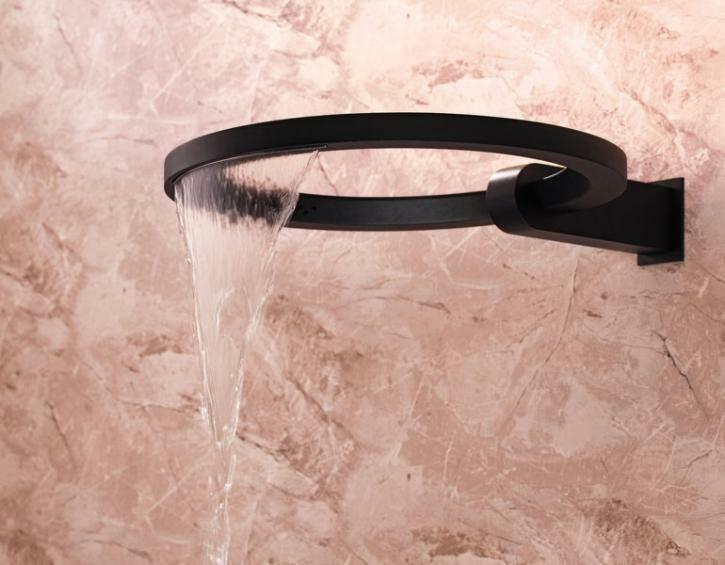 Available in sleek architectural black (pictured), white, or polished chrome, the sculptural circle features six full-colour spectrum LEDs, creating a spa-like chromotherapy glow whilst you shower. Discreetly placed faucets release a halo of water, you can choose to either transport yourself to a relaxing waterfall or wake up with a revitalising rain-jet setting. Bathroom innovation doesn’t come much better than a pop-up tub. This model has been realised as part of German brand Kaldewei’s young talents design competition during Salone del Mobile. 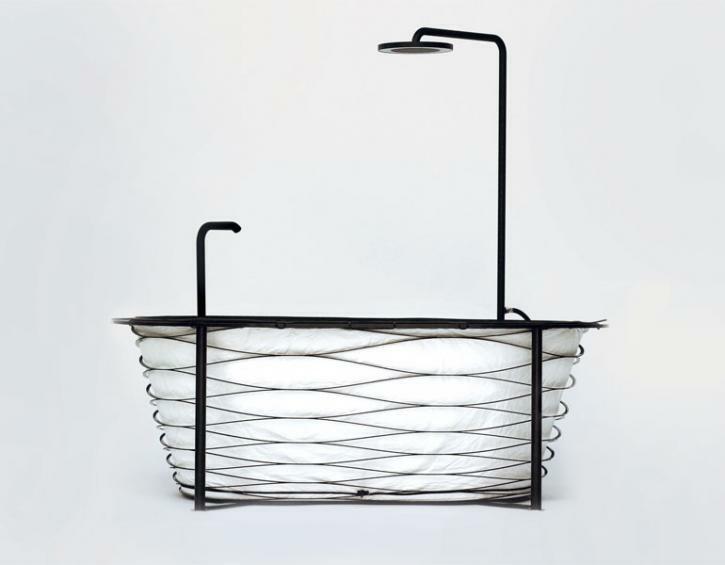 Winner Carina Deusch’s travel friendly piece uses carbon fibre to enable it to be collapsible, arriving as a portable flat package before expanding into a classic tub-shape in its wire structure. Inside, there is soft padded material for a comfortable bathing experience, be it indoors at the office, or camping outside. 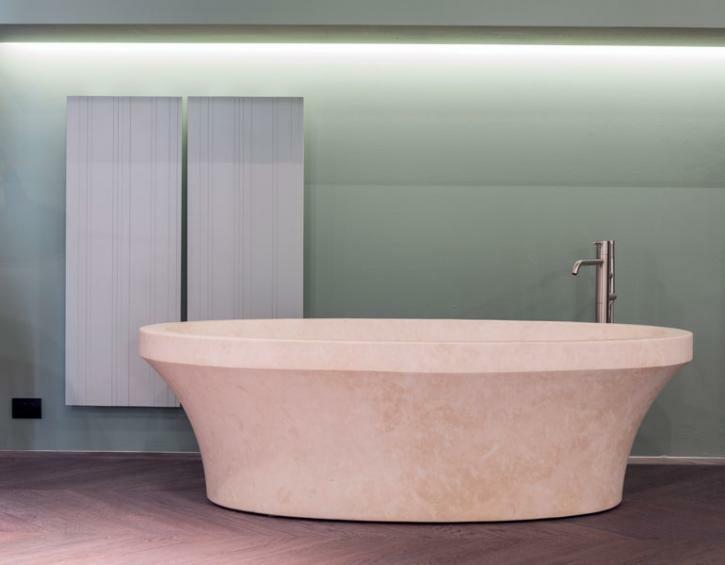 Steering away from the squeaky-clean ceramic look typical of luxury bathtubs, Italian stalwart Antonio Lupi has decided to go back to basics, creating its latest bath in raw Amazzone stone. Designed by Carlo Colombo as part of Collection Bespoke, ’Epoque’ still resonates the brand’s modern design aesthetic with its graduating oval form, however the muted skin coloured palette allows it to be more exposed as a sculpture, but with the same level of sophistication. 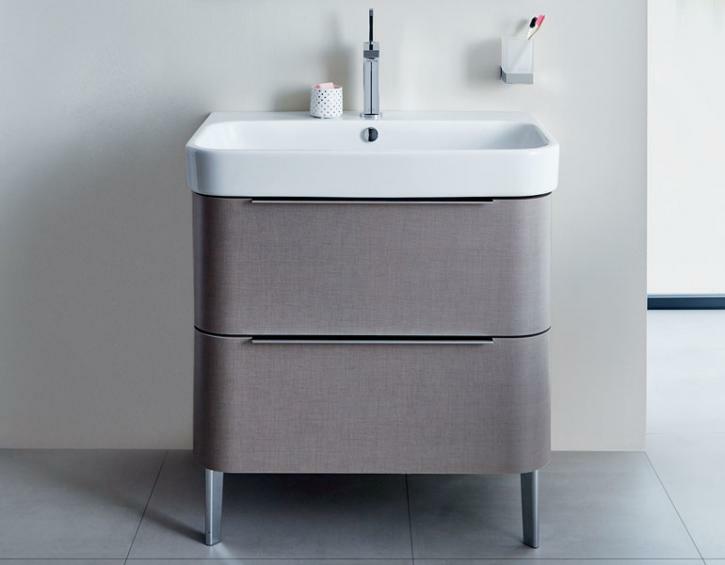 Duravit has introduced a new furniture range for its basin units, conceived by Sieger Design. Answering the demand for ever more vanity space, the German manufacturer has produced a variety of wall-mounted and floor standing cabinets that maximise storage yet maintain a discreet look. 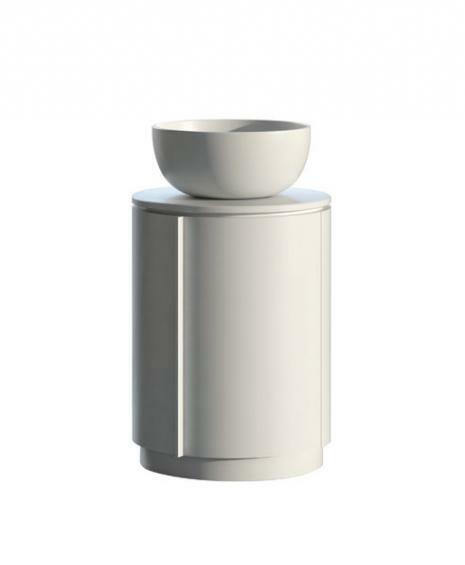 The seamless edges and subtle new die-cast zinct feet neatly complement the brand’s basins. We’re smitten with the soft curves and textured linen finish of this ’Happy D.2’ Unit. Waterworks has teamed up with New York based sculptor and jewellery designer Jill Platner for a special sculptural collaboration. Creating a host of ornamental forms for the bathroom, including faucets, wall mounted accessories and shower and tub fittings, Platner uses her hand carving techniques for the abstract range. Her wax models are 3D printed by Waterworks, and formed into intricate moulds for the different brass, chrome and various other decorative alloy finishes. Designed by Milanese agency Studiopepe, this stylish marble mirror takes its cues from the aesthetic of late 1950s Italy, which favoured clean lines and precious materials. Influenced by the works of masters such as Gio Ponti and Luigi Caccia Dominioni, Studiopepe has created an object for everyday use that will age beautifully and last forever. It is available here in white or black marble, and made for Danish design brand Menu. 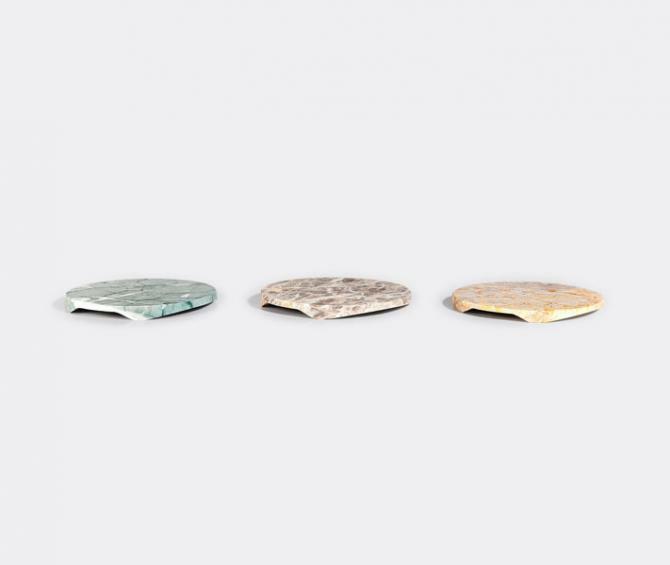 At once inspiring and challenging, Seem Soap’s ’Paradoxe’ collection applies the careful consideration of product design to an everyday, often forgotten object. Made with a vegetable soap base and formulated with natural ingredients and pigments, ’Paradoxe N°1’ is both fragrance- and allergen-free. Green tea scented, the soap is ergonomically shaped to fit the hand with ease, while layers of colour ensure this often overlooked item will never go unnoticed. Norm Architects were inspired by mid 20th century Danish furniture for their second collection for Florence-based bathroom brand ex.t. 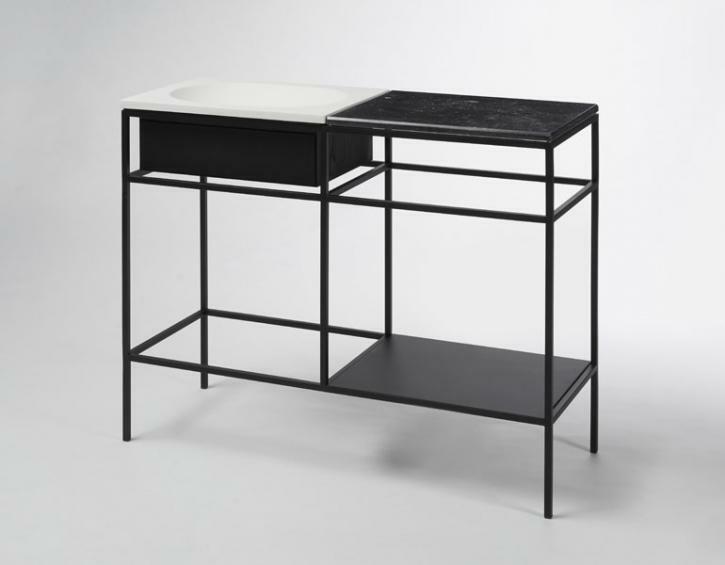 As its name suggests,’Frame’ is made up of different steel structures that can be wall mounted or freestanding to neatly double as shelving with a discreet sink situated among the modular lines. The refined and multifaceted jet black structures mix Nordic and Italian influences and were released at Salone del Mobile alongside ’Rest,’ a set of matching cushioned stools to relax on. Doubling as an elegant storage solution, Frama’s ’90°’ wall light is a strong design statement with an equally distinct geometric character. 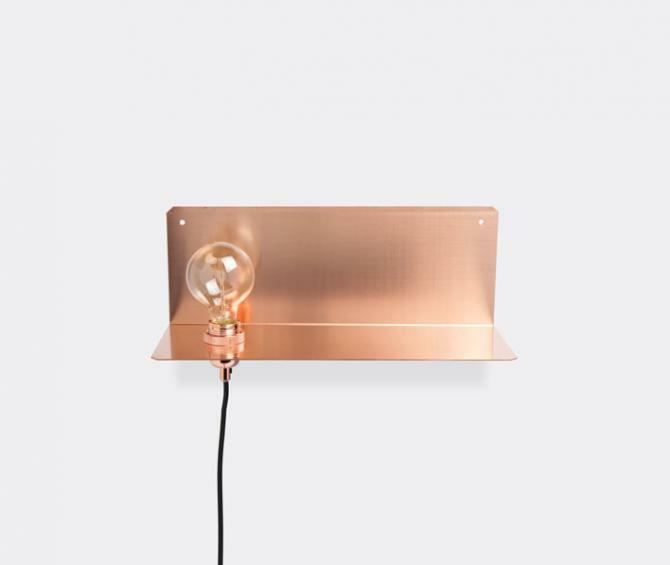 The industrial piece has a simplistic exposed light with a copper base plate allowing it to bring a raw style to any room of the house. On this occasion, we have chosen the clinical bathroom. Designed by Alberto Meda for Florence-based marble manufacturer Luce Di Carrara, Copernico was inspired by Renaissance mathematician and astronomer Nikolaus Copernicus. The circular robust forms arrive in three different types of marble, Grey Evia, Green Mediterranean and Pietra di Stazzema, Copernicus was known as the man who placed the sun, instead of the earth, at the centre of the universe, nodding to the slightly galactic patterns and gues in the coasters. 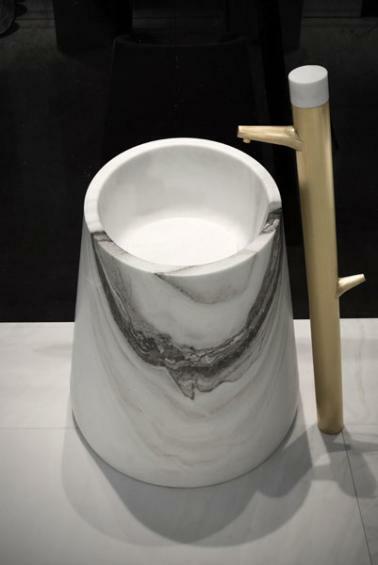 Natural stone specialists Antolini have teamed up with high-profile Italian designer Alessandro La Spada for their new collection, Sir/A, featuring the marble drop wash-basin. Made from Bianco Lasa/Covelano ’Machia Vechia’ marble, an extremely valuable marble, mined from the Italian Alps. The effect is simple and refined with the organic pattern of the marble vein-work standing in the forefront of its design in a combination of classic material with contemporary style. Made up of an unusual facet mix of metal and marble, ’Zen’ is a deck mounted basin set with an elegant swan spout. 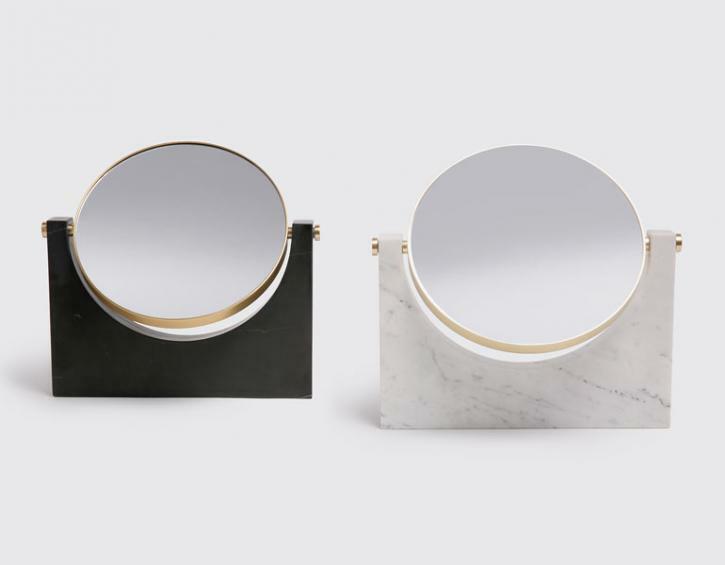 Designed by The Watermark Collection in their Brooklyn studio, its uniquely minimalist form arrives in a range of four stones including honey onyx and nero marquina. Organically formed, the contrasting polished copper spout gives a sleek, luxurious finish to any bathroom set. This bathroom installation by Jonas Lindvall is on display at Landskrona Konsthall gallery in Sweden. 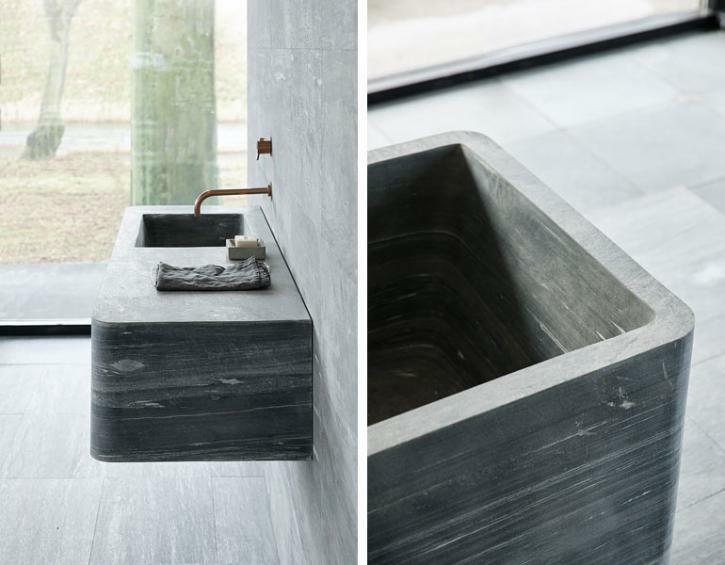 Made from the rare stone Vals Quartzite which has been formed over 250 million years and taken from the Alps, the Swedish architect and designer has tested its boundaries by creating the robust and cemented bathroom set. The rustic veined forms were created in collaboration with Swiss extraction brand Truffer AG and Henkelstorps Natursten to achieve the thick bodied walls and fine curved edges that make up the raw collection. Spanish and Italian influences collide here with Patricia Urquiola’s playful framework and enticing curves meeting Agape’s refined materials and wellness expertise. The Cuna is made up of two parts, its exterior tubular steel structure stands out against tonal grey of the bathtub itself. A strong freestanding structure, the frame is also available in a warmer copper steel and classic white tub. 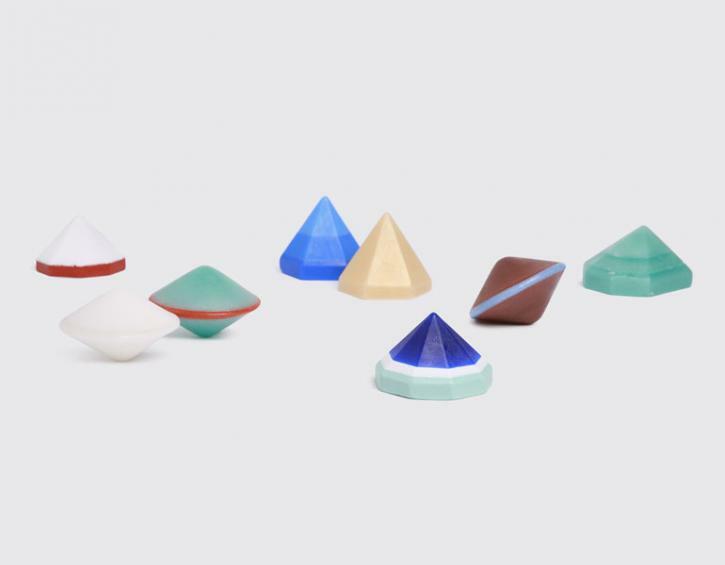 Montreal-based Quebequienne designer Zoe Mowat just presented her Ora Mirror series, giving a bi-dimensional shape to her colour-rich designs. The designer’s first experiment with a flat surface features all the elements usually recurring in her work, from a brave use of colour and material to her penchant for asymmetric compositions. 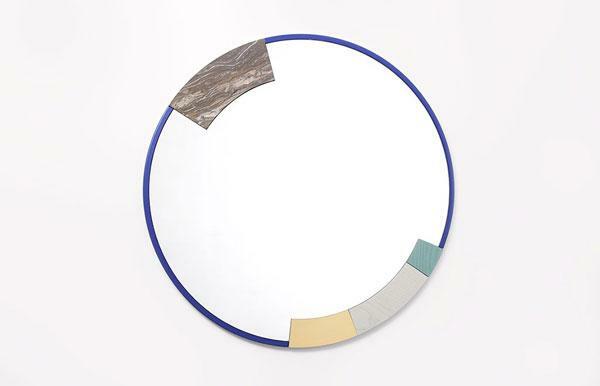 The mirrors’ round shape is framed by a subtle coloured edge, with further curved details made of mismatched pieces of brass, marble and stained wood, giving the mirror a light, floating appearance. 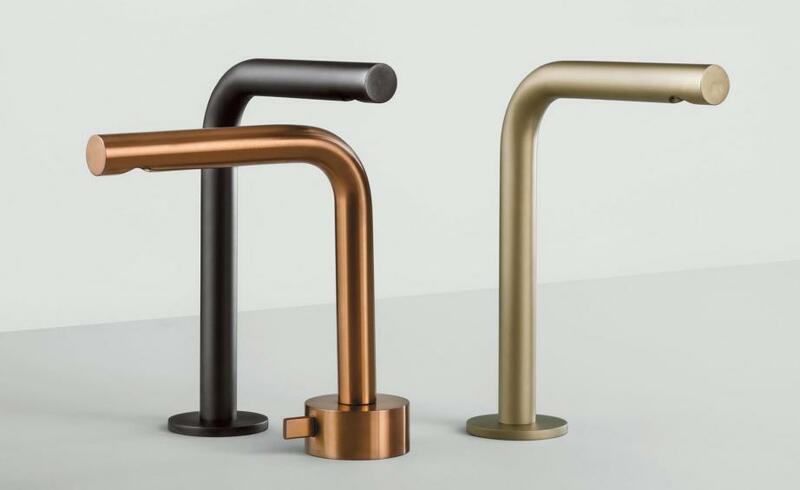 Inspired by essential geometric forms and lines, the design of the ’BAR’ tap was conceived by Natalino Malasorti to appear timeless and essential, combining a robust smoothness with an elegant flow. Italian stainless steel specialist CEA developed the tap with a new waterfall jet concept, offering enhanced water saving and hygiene benefits through mixers equipped with hydro progressive ceramic cartridges. Made of stainless steel and available in both satin and polished finishes, the BAR progresses Malasorti’s legacy of clean design, combining intuitive functionality with discreet sophistication. 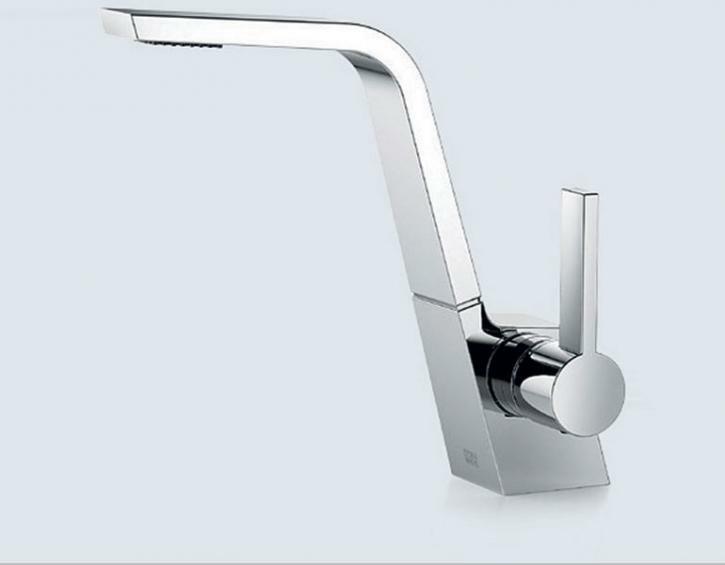 Available in deck-mounted and wall-mounted versions, and with a choice of textures for the handles, Dornbracht’s new ‘CL.1’ tap also includes a Sprayface, an innovative in-house development that comprises 40 individual jets and ofers a water-saving fow of under four litres per minute. Wave goodbye to the all-white bathroom with high-performing coloured glazes for ceramics. 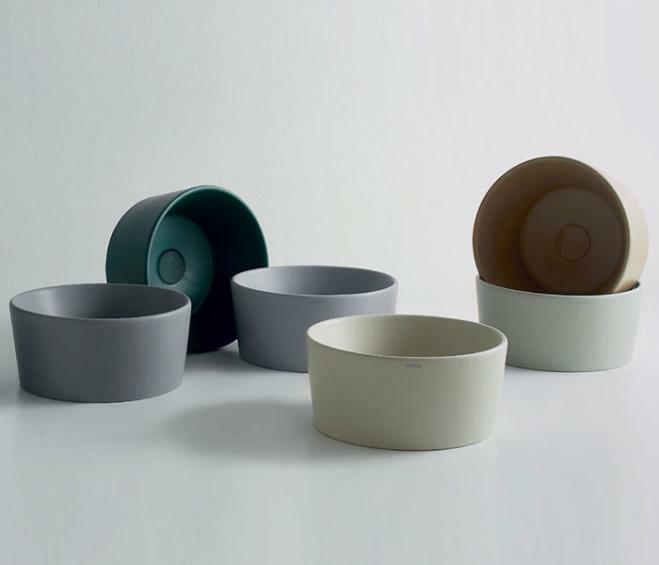 Designed to enhance the collections of Ceramica Globo, including Claesson Koivisto Rune’s ‘Forty3’ basins (pictured), the 14 glazes range from matt greys to petrol green. 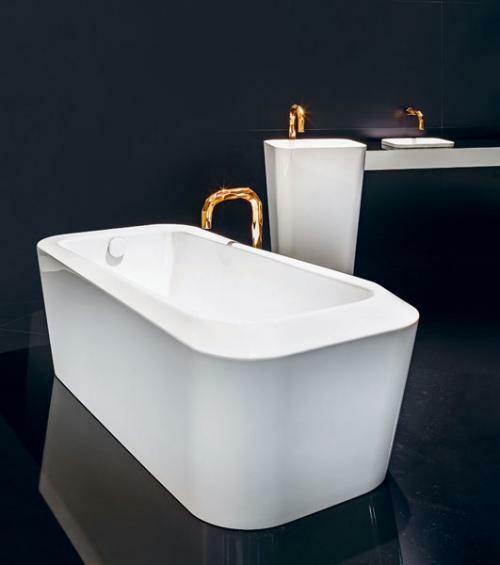 Part of Kaldewei’s sculptural Meisterstücke collection, Arik Levy’s bathtub features a large rim and an asymmetrical construction with a raised back, a modern twist on the traditional bath. Like the similarly conceived freestanding and built-in basins, it has discreet overflow outlets and flush fittings.